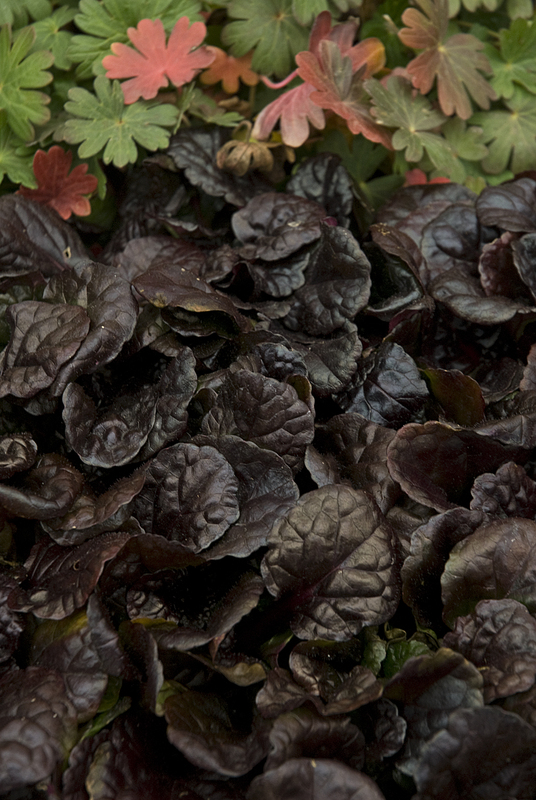 Ajuga 'Black Scallop' is a wonderful selection that is very versatile in garden design. It is a smaller scale groundcover with glossy, near black scalloped leaves. The shocking violet blue flowers appear on short spikes in spring. We have used it as a trailer in containers with great success. We also like it as an edger in mixed plantings in the sunny or partially shaded garden. It develops the best colour in our display garden with at least four hours of direct sun. Ajugas are low maintenance ground covers for partially shaded sites. They spread by runners, and if happy will make a dense mat. 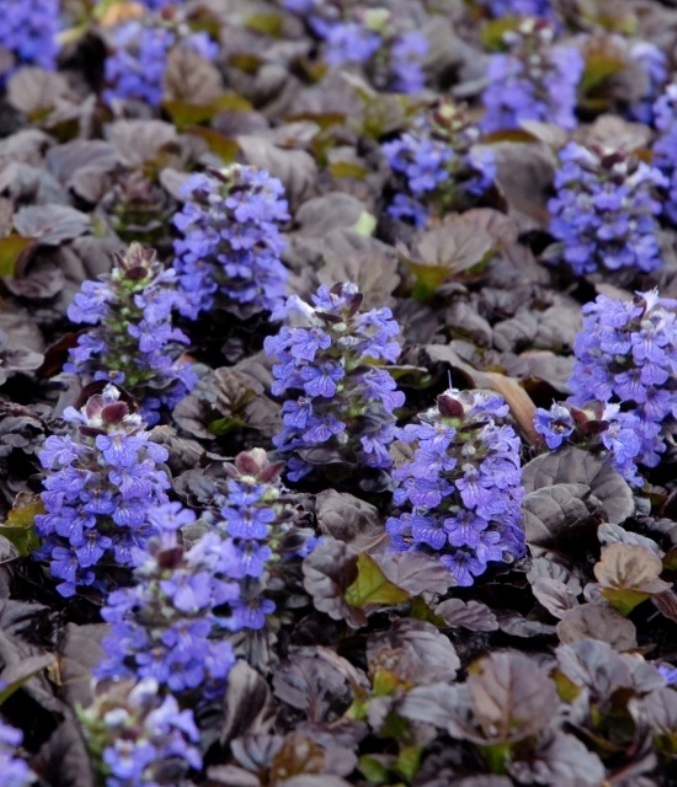 Ajuga is tolerant of a broad range of soil conditions and will even tolerate very poor soil. However it will not tolerate wet sites and will be susceptible to crown rot where air circulation is poor and the site does not drain. The foliage is evergreen, although in our climate, foliage may be a little tattered by the spring. Be patient because fresh growth will quickly replace damaged foliage once the weather warms. To keep the plant looking neat spent flowers may be snipped off.